Plants do very well in hospitals, providing an environment that calms patients and addresses the emotional needs caused by the intense stress of being ill.
Until late into the 20th century, hospitals focused on keeping infections down through clinically clean environments with functional efficiency that created stark, institutional like settings. Research has turned the tides on such line of thinking and revealed how sterile environments create even more stress on patients, their families and healthcare staff. In the forefront is the interest in emotional and psychological welfare that is part of the healing process. It’s now understood that healing the body and mind is not the only aspect for creating wellness. Emotional health is just as important as well. Hospital settings with plants provide a calm environment for social interaction. Hospitals are now creating soothing environments for less stress, targeting the mind, body and soul. Stark walls have made way to colorful murals. Hallways have become warm and inviting walkways with specimen plants in beautiful containers and living walls artistically created with plants. 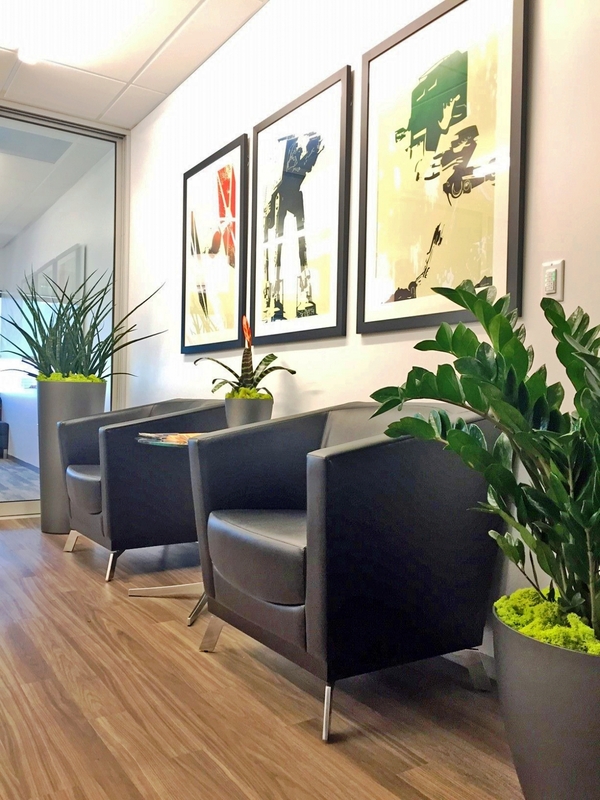 Even waiting areas are designed to promote calm and peace with positive distractions by placing plants, natural lighting, aquariums and various elements of nature in the room. Just a short exposure to natural scenes such as a potted plant restores a sense of well-being. Noise is another source of stress and hospitals are using various means to improve sound proofing within their environment. Ceilings and carpet both absorb sound. Plants too absorb sound and reduce the noise level in rooms and hallways. Living walls are one of the best ways to buffer sound and eliminate echoes that give impressions of eerie emptiness. Environmental psychologist Roger Ulrich published a study in 1984 that gazing at a garden can at times help speed healing from surgery, infections and other illnesses. 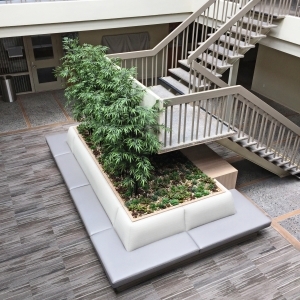 The connection with nature such as plants placed throughout a room helps divert the focus away from feeling ill, relaxes the body, and in turn reduces the level of pain. Plants and flowers elevate the feeling of well-being and also reduce noise levels. 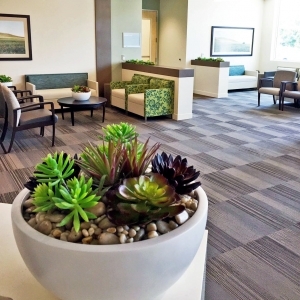 The growing demand to increase the quality of care through costly new medical technology often leaves out alternatives such as interior plants and gardens. 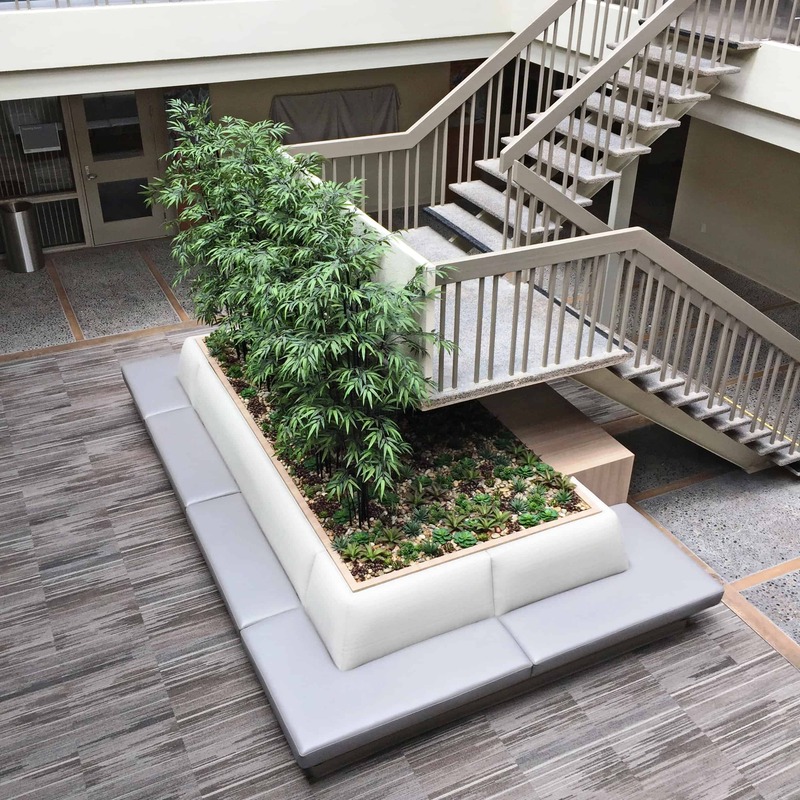 Greenery or garden-like features elevate levels of calm for quicker recovery while reducing the feelings of fear, anger and sadness. Studies have even shown how flowers actually elevate happiness. And how viewing plants in a room positively effect blood pressure, heart activity, muscle tension, and brain waves.